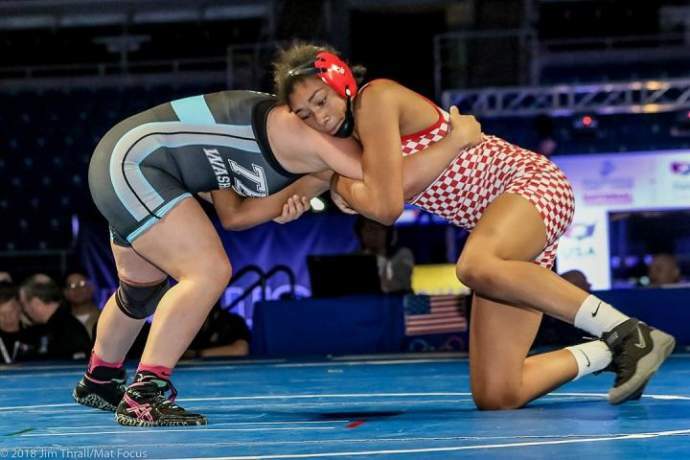 National Wrestling Hall of Fame, USA Wrestling and FloWrestling have released the second National Girls High School rankings for the 2018-19 season. This ranking evaluates all girls enrolled in grades 9-12, and includes athletes from all 50 states. There are 14 states which sponsor official or emerging girls state high school championships, while many other states are also developing their girls high school program. The ranking list will indicate what the athlete&apos;s ranking was in the preseason rankings on November 16. Three of the No. 1 ranked wrestlers from the preseason rankings have moved up a weight class, and are now No. 1 at their new weight class. Cheyenne Bowman of California has moved up to 138 pounds and is ranked No. 1 there. Macey Kilty of Wisconsin has gone up to 164 pounds, where she now ranked No. 1. Tavi Heidelberg of California has been placed at 225 pounds and is also No. 1 at this weight class. There are four new No. 1 wrestlers: Stefana Jelacic of Arizona at 117 pounds, Mary Lopez of California at 132 pounds, Kennedy Blades of Illinois (competing for Wyoming Seminary in Pennsylvania) at 152 pounds and Gabrielle Hamilton of Illinois at 200 pounds. Athletes are now active in the regular high school season. Coming soon will be a number of major post-season events, including state high school championships, which will impact the next three girls high school rankings. Coaches, parents and athletes are encouraged to provide information about specific athletes and their achievements throughout the year for the committee to consider. If they have information on specific girls who should be considered for ranking, please send it by email to girlsrankings@usawrestling.org. America&apos;s shrine to the sport of wrestling, the National Wrestling Hall of Fame & Museum was founded as a nonprofit organization in 1976 to honor the sport of wrestling, preserve its history, recognize extraordinary individual achievements, and inspire future generations. The National Wrestling Hall of Fame has museums in Stillwater, Oklahoma, and Waterloo, Iowa. The Stillwater, Oklahoma, location reopened in June 2016 following a $3.8 million renovation and now features interactive exhibits and electronic kiosks, as well as the opportunity to watch NCAA Championship matches from the 1930s to present day. It also has the John T. Vaughan Hall of Honors where the greatest names in wrestling are recognized, including iconic granite plaques presented to Distinguished Members since the Hall of Fame opened in 1976. The museum has the largest collection of wrestling artifacts and memorabilia in the world, including the most collegiate and Olympic wrestling uniforms. Wrestling truly is for everyone and the diversity and accessibility of the sport continues to be highlighted through exhibits featuring females, African Americans, Native Americans, and Latino Americans. There is also a library featuring historical documents, including NCAA guides and results, as well as books on the sport. America's shrine to the sport of wrestling, the National Wrestling Hall of Fame & Museum was founded as a nonprofit organization in 1976 to honor the sport of wrestling, preserve its history, recognize extraordinary individual achievements, and inspire future generations. The National Wrestling Hall of Fame has museums in Stillwater, Oklahoma, and Waterloo, Iowa. 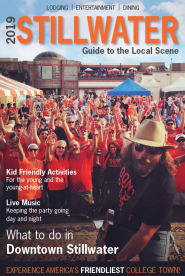 The Stillwater, Oklahoma, location reopened in June 2016 following a $3.8 million renovation and now features interactive exhibits and electronic kiosks, as well as the opportunity to watch NCAA Championship matches from the 1930s to present day.